Enrolling your child in a kura Māori will help build on what you and your whānau are already doing at home to support their learning and development. It will provide them with an opportunity to be bilingual – that is, able to speak two languages fluently and naturally. are confident and have good self-esteem. Being bilingual means your child will have better opportunities as an adult both here in aotearoa New Zealand and overseas – with skills and knowledge to contribute, participate and succeed in both te ao Māori (Māori world) and te ao whānui (global world). Ko Whāea Pāpara tōku ingoa. He kaiako au mo te Rūmaki Reo mo ngā Tau 0-4. He akomanga Rūmaki Reo tēnei i roto i te kura Auraki. Ko tēnei te tau tuarua kua whakatū tēnei akomanga. Ahakoa he akomanga hou, kei te whai tonu i ngā tikanga o Te Reo Māori me te mātauranga o te Kura. 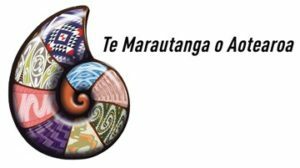 Ka hono ngā akoranga i roto i te akomanga ki te Marautanga o Aotearoa mo ngā kaupapa katoa. Ko ngā kaupapa whakahirahira i roto i te akomanga e aro ana e mātou i ngā wā katoa, ko te Tuhituhi, Pānui me te Pāngarau. Ka kōtuitui mātou i ngā kaupapa Pūtaiao, Tikanga-a-iwi me te Mahi Toi ki roto i ngā kaupapa whakahirahira, ara te Tuhituhi, Pānui me te Pāngarau. Tū atu i tēra, ka karakia, himene, waiata me te tū pakari ki te whaikōrero i tō rātou pepeha. Ia rā, ia rā ko te aronui kia kōrero Māori i ngā wā katoa. Nā reirā mēna kei te whakaaro koe ki te tono o tamariki ki roto i te Rūmaki Reo, mēna kei a koe he pātai rānei wāea atu mai ki te kura o Ōrākei. Ngā mihi nui. My name is Whāea Pāpara. I am the Kaiako for the Rūmaki Reo and I teach Years 0-4. Our Rūmaki Reo is unique as it is a full immersion Te Reo Māori unit based in a Mainstream School. This is the second year of Rūmaki Reo at Ōrākei School. Although we are at the early stages of establishing the Rūmaki Reo, we are dedicated to speaking Te Reo Māori. Our teaching and learning are based on the Marautanga o Aotearoa, and the main subjects are Reading, Writing and Maths, with Science, Social Studies and Art all blending together. Our morning consists of Karakia/prayer, Himene/hyms, waiata/songs, and whaikōrero pepeha/public speaking on geneology. The curriculum delivered in Rumaki Reo aligns with Te Matauranga o Aotearoa which is aligned to the New Zealand Curriculum. The teaching and learning that occurs in Rumaki Reo align with Orakei School Ako model of teaching which draws from a range of deliberate acts of teaching that promote accelerated learning. Rumaki Reo enjoys a close association with local iwi Ngati Whatua Orakei. As this relationship continues to develop, as a school we are investigating ways that we continue to strengthen this relationship by spending regular time learning at the marae. These visits allow us to build close relationships with students from Te Puna Reo and ensure that transition from kohanga to kura are easier. It is Orakei School’s vision that Rumaki Reo graduates will have a strong sense of what it means to achieve as a Maori student. They will embody the values of their whanau, school, hapu and iwi and be confident connected students. These students will be literate in Te Reo Maori and be seen as leaders in their homes, school and communities. Our vision for Rumaki reo is to provide immersion learning for students of all ages. Our short to medium term plan is to grow into this learning space by employing another kaiako and in the mid to long term grow the capacity of Rumaki at Orakei School to meet the needs of our local and wider community by providing a high quality best practice learning environment where the needs of the whole child are understood respected and nurtured. If you are interested or have any questions please feel free to contact the school.